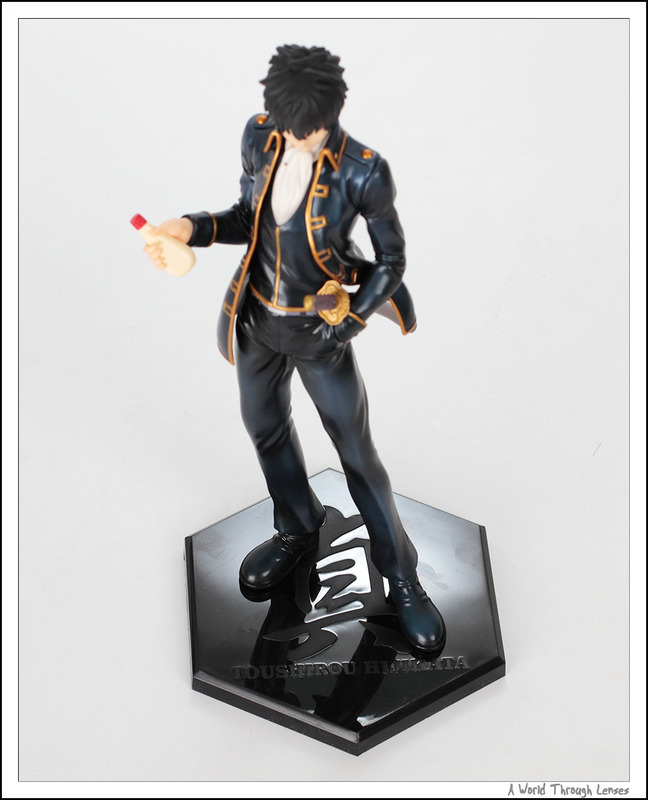 View from the front with the default mayonnaise bottle. 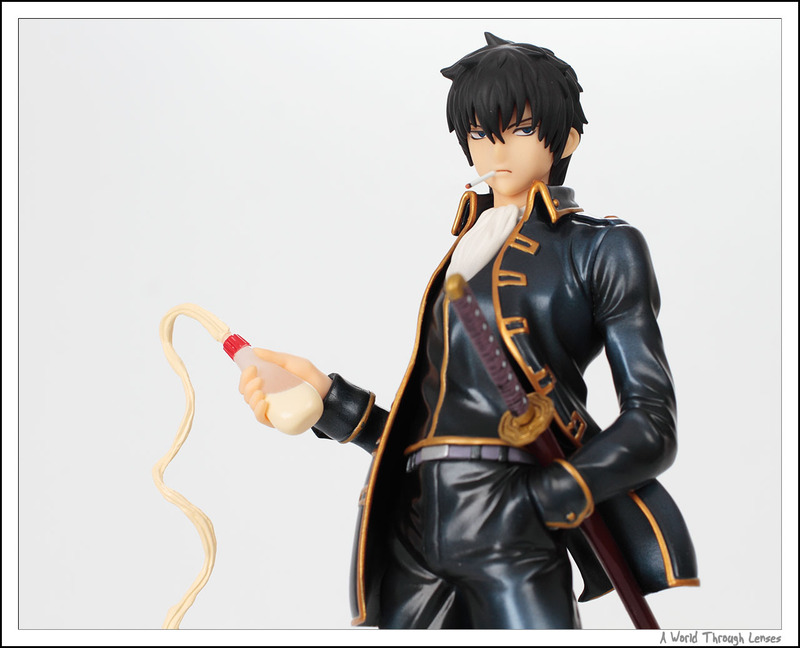 The face expression is really cool. View from the back and the side. 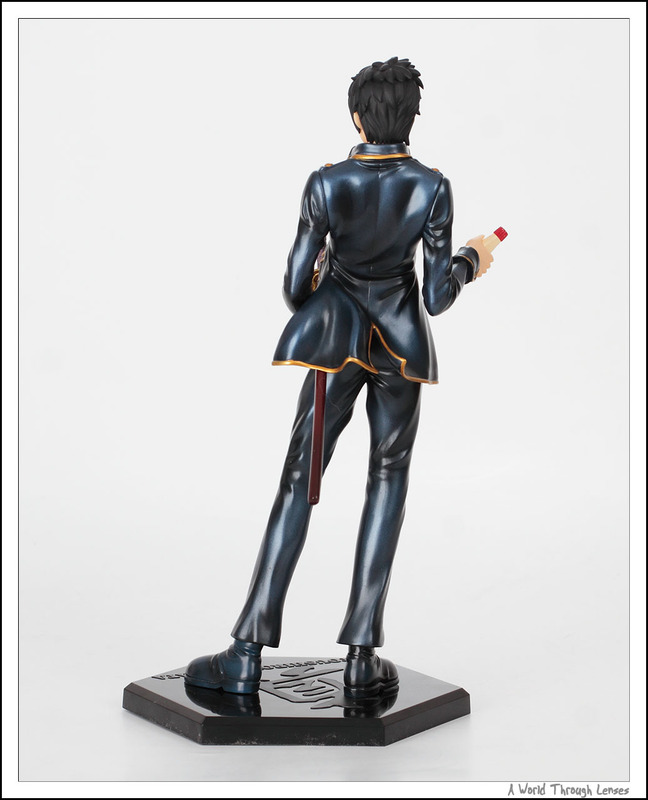 Here’s a view from the top. 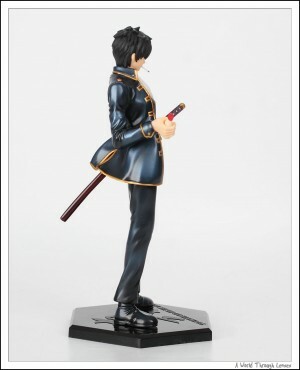 The letter on the base is the letter Shin (真) from the Shinsengumi (真選組). 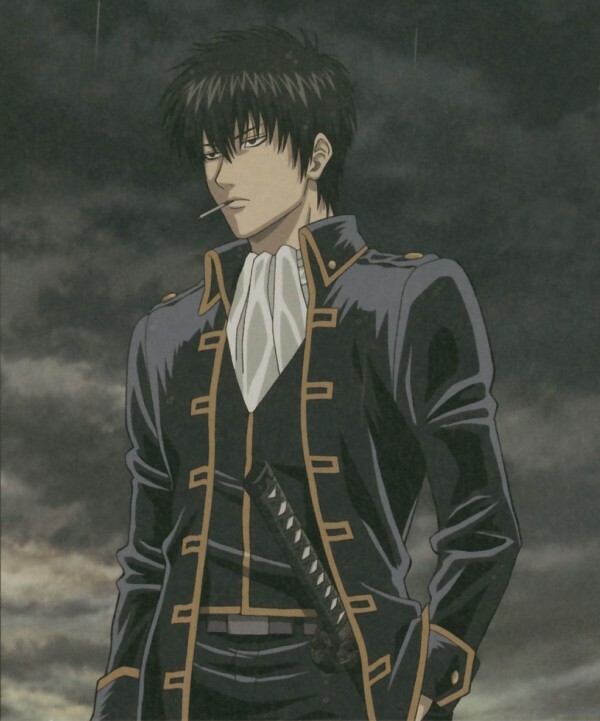 And for those not following Gintam, Hijikata Toushirou is the demon deputy of the Shinsengumi in Gintama. 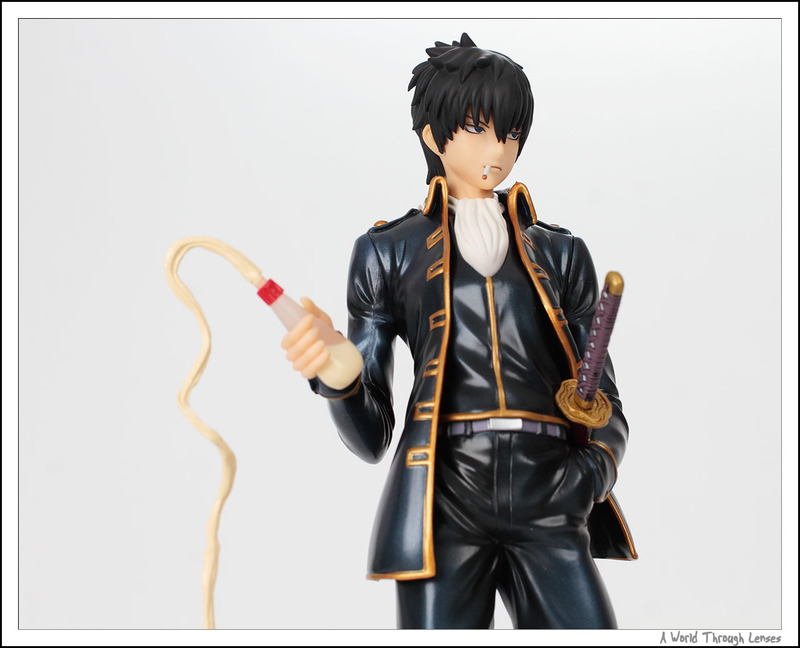 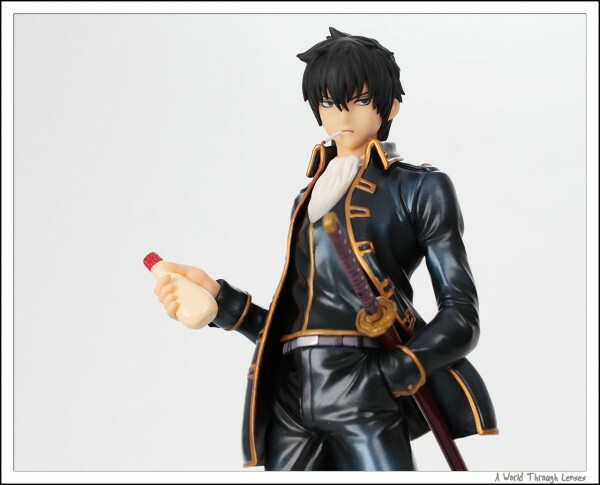 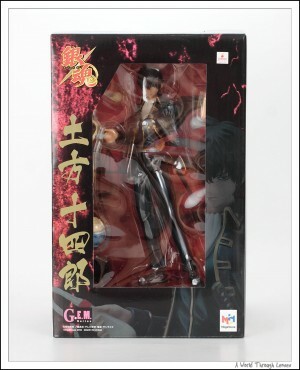 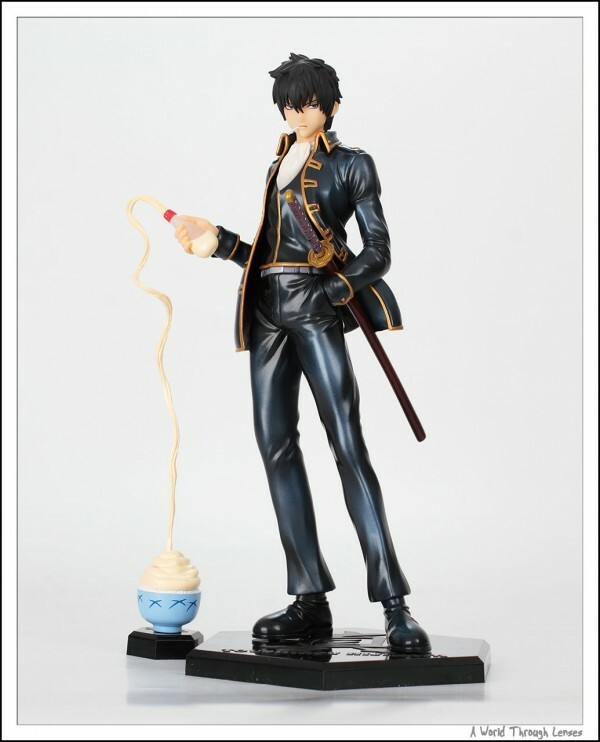 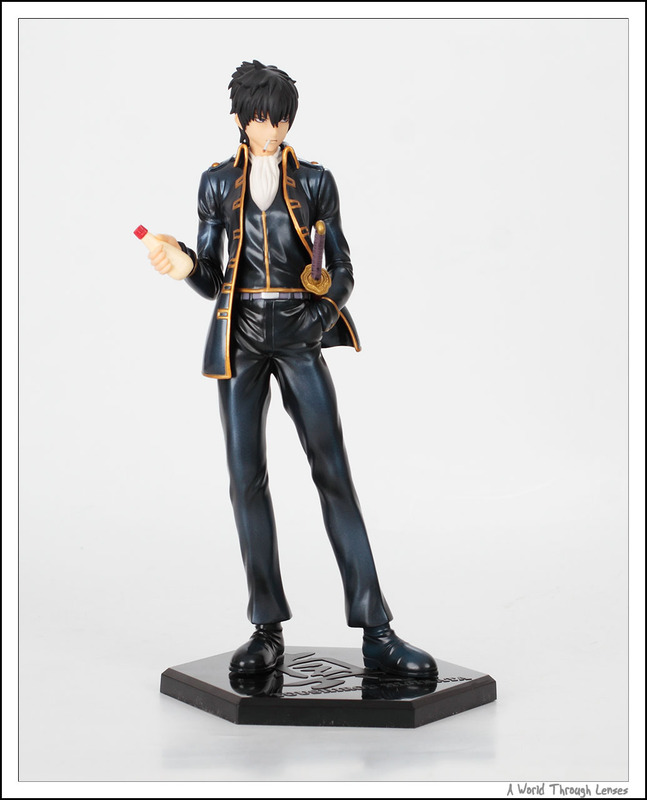 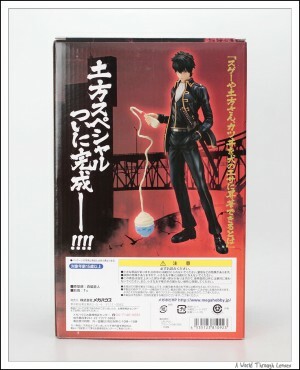 Hijikata also comes with a special second mayonnaise bottle to pose him making the “Hijikata Special”. 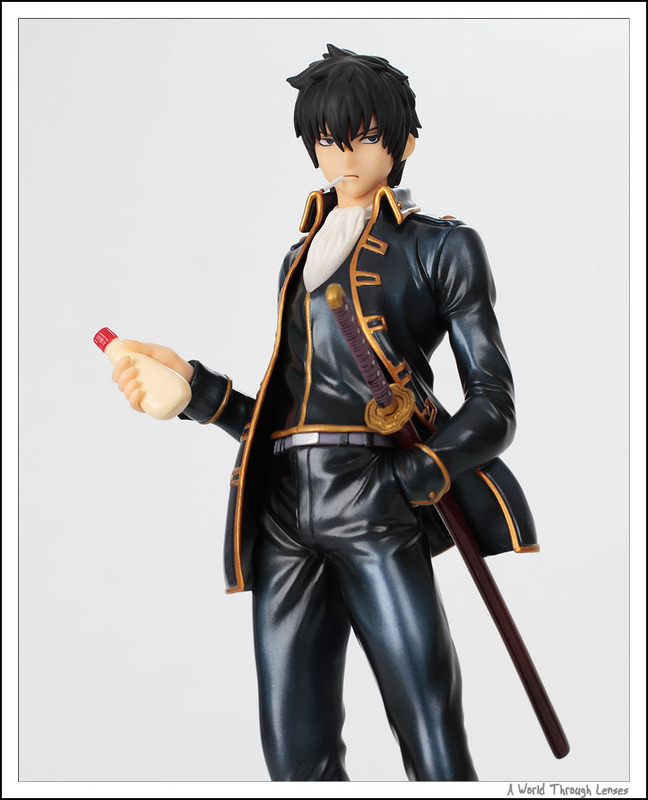 Yes, that’s how much Hijikata loves mayonnaise. 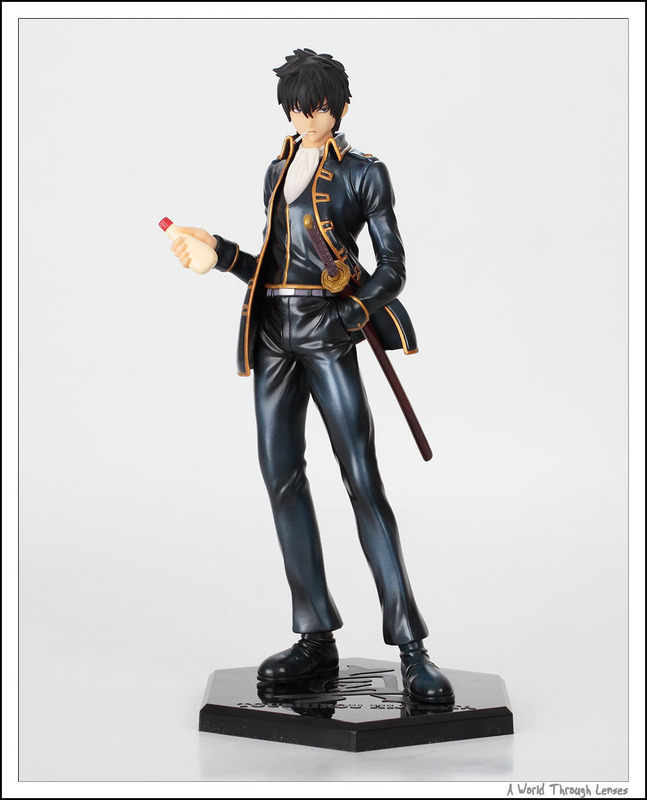 Here’s an illustration of Hijikata Toushirou.